I hadn’t been to California for over a decade and finally got a second chance to explore when my friends the Campbell’s moved to southern Oregon. 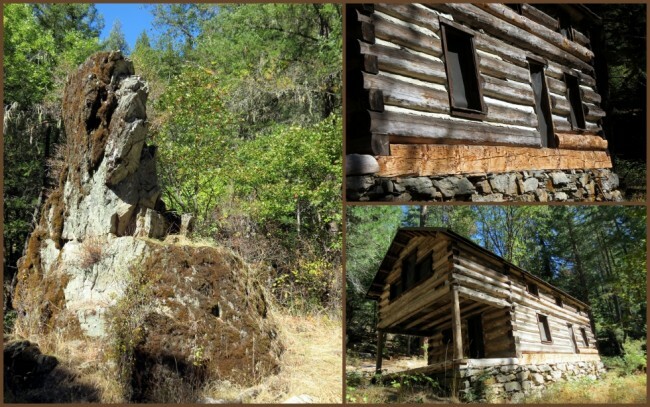 Jeff knows I have a big-time affection for historic places so on one our first hikes of this visit we headed down into northern California to the Rogue River National Forest near Applegate Lake. 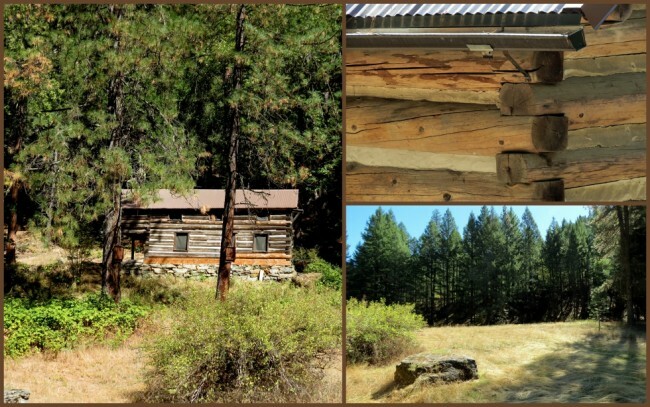 Hidden back in the woods there you’ll find an historic site called The Harlow Cabin, erected by gold prospector William Harlow back in the 1920s. Living there with his wife he worked his claim, which was at the end of the line off the road from Jacksonville to the Blue Ledge Copper Mine. 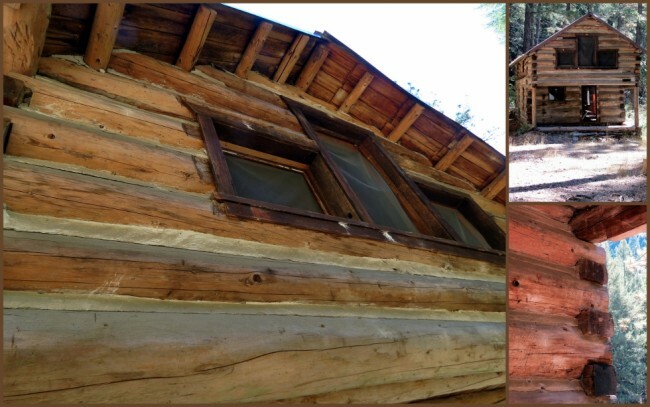 Using local, hand-hewn logs and boulders, he constructed the cabin which is now on the National Register of Historic places. In the 1990s it was discovered that Harlow’s claim was null and void, and that’s when the USDA Forest Service took possession. It was at this time that they began fixing the place up by replacing rotting sills, cutting dangerous trees away from the structure and putting on a new metal roof. They also replanted some native plant species in the area. As seems to always be the case, some people seem to think they have a right to mess with the cabin and do damage to it, something I think a sad testament to human behavior. That’s not to say that wildlife doesn’t take a toll on such places, but people should know better. Vandalism is the biggest problem here as is the case in so many places out in wilderness areas. The cabin is said to be dying the “death of a thousand cuts”. One case in point; some idiot (the nicest term I can come up with) decided that it’d be okay to have a fire inside the cabin, right on the wooden floor. This person or persons should certainly be nominated for the Darwin Award. 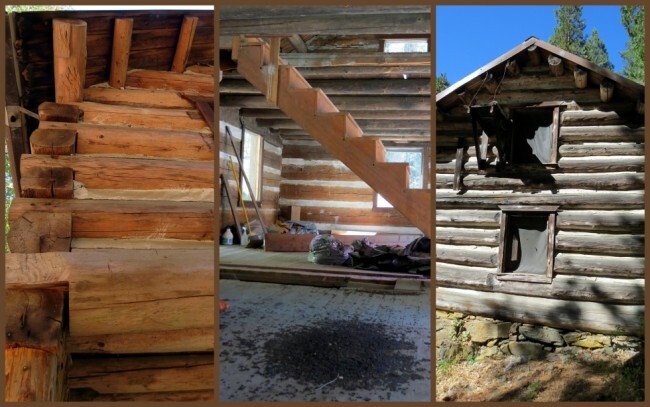 Places like the Harlow cabin are wonderful glimpses back in time to an era when the toughness of pioneers and miners is hard to imagine in today’s world. The work they did, the conditions they lived in all make for an interesting look into the minds of our forefathers. 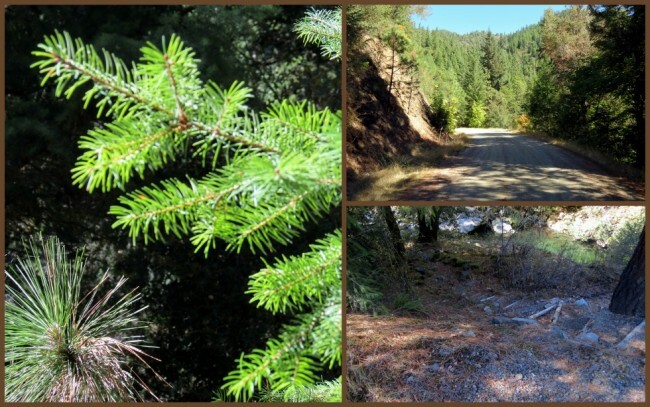 The walk to the cabin was very pleasant, taking us up an old gravel roadway lined on both sides by some very interesting homes and lush vegetation with the occasional stream. 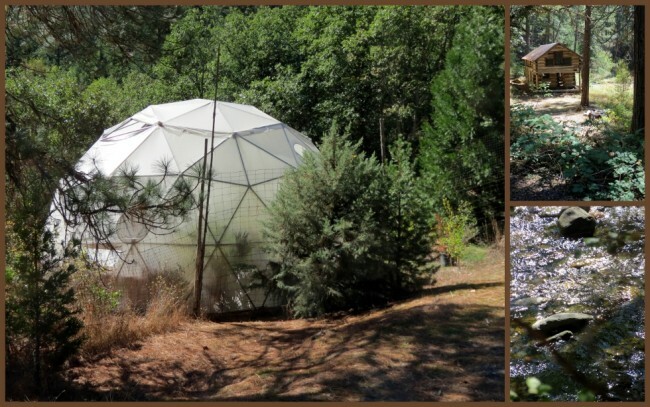 The day was warm, the forest beautiful and the experience invigorating. Last modified on: August 30th 2015.